When you think about it, few relationships are as intimate as the one you share with your beauty therapist - which is why finding a great local salon, somewhere you rate and trust and feel comfortable, is such a blessing. I almost hesitate to say it, based on just one visit, but I think I’ve discovered such a gem. 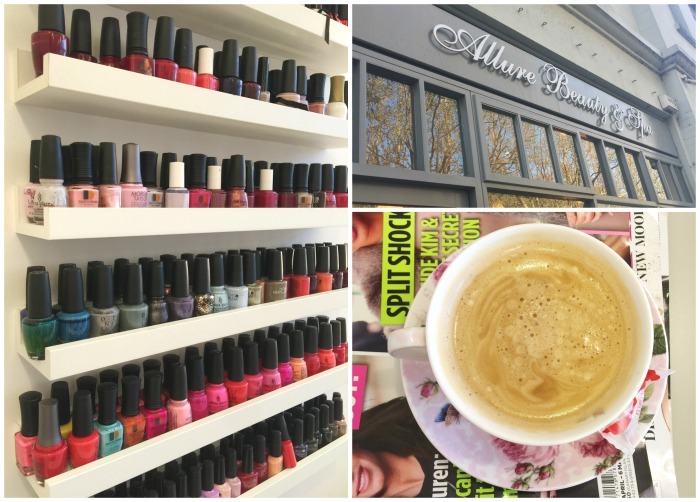 Allure Beauty & Spa is within shuffling distance - in flip flops, after a pedicure - from my house, and offers everything from waxing to lashes to facials and massage (you can check out their website for all the deets). It’s also gorgeous: there’s a soothing modern grey colour scheme that, combined with really elegant décor, makes it a lovely place to while away a few hours. 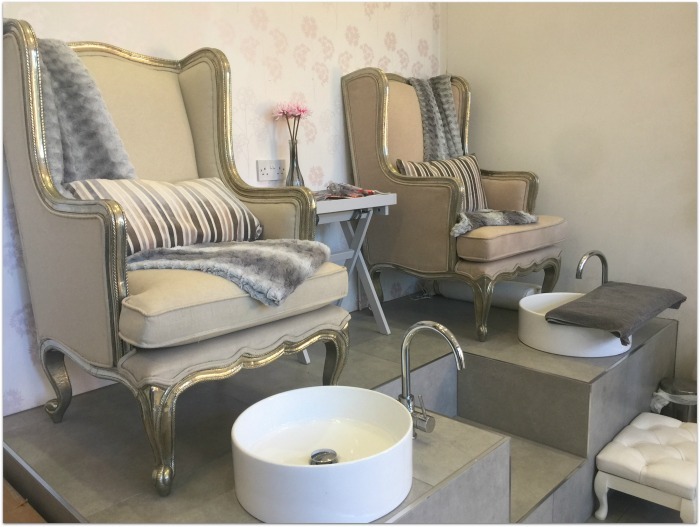 Before my recent holiday I popped in for a gel polish and spray tan; a faux-glow - combined with some colour on my toenails - gives me a lot more confidence about going bare-legged on the beach, so these are two treatments I always try to fit in before I head away. I’d heard a lot of buzz about Bellamianta tan, so I was happy to give it a go. Now contorting myself into strange positions in front of a total stranger, while only wearing disposable underwear, is not my idea of fun but Olivia was lovely and made me feel as natural and comfortable as the situation allowed. I was sprayed head to toe with the tan and she gave me an extra coat on my legs, which are the palest part of me. When I showered it off the next day, I was left with a sun-kissed, streak-free colour that seemed to magically – and unnoticeably – change into a real tan over the course of my trip. To pretty up my toes, I went with the warm, bright pink shade, Lobster Roll, from CND Shellac. It’s actually still on my feet and I haven’t yet tired of the colour, which is cheery and perfect for summer. While I was pleased with both treatments, what I really enjoyed was the calm, relaxed vibe of the place - the way the therapists put the customers at ease, how they knew lots of them by name, and the unrushed but professional way they went about their business. I’ll be booking myself in again soon. Do you have a favourite neighbourhood salon? *Fluff and Fripperies was a guest of the salon.